PHOTOGRAPH MAGAZINE - is a quarterly magazine for designed for aspiring photographers. Read a few of my articles on the creative process and view his portfolio feature in the the first two issues. Want to get better at Photoshop? 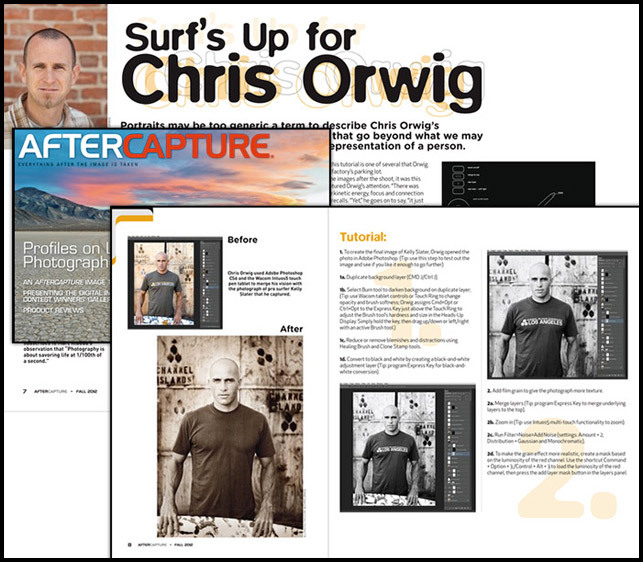 Check out this tutorial in AFTER CAPTURE MAGAZINE - click here! Learn about my approach to photography in this interview by Digital Photography School - click here.